In the midst of Sarah and Frank's wedding preparations, Sarah accompanies her mother on a condolence call to the Upper West Side, where Charles Fairfax, the son of family friends, has died unexpectedly after suffering from a mysterious disease. It is a tragic and all too common story or so it seems. Charles's father asks to speak with Sarah privately. He believes his son was poisoned and would like Sarah and Frank to look into the matter with the utmost discretion. 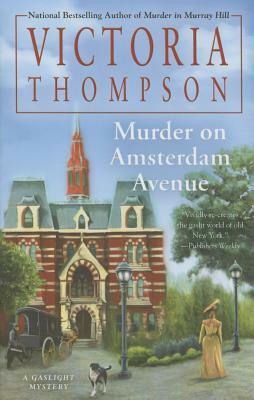 Victoria Thompson is the Edgar(r) and Agatha award nominated author of the Gaslight Mysteries, including Murder in Chelsea, Murder on Fifth Avenue, andMurder on St. Mark's Place, and numerous historical novels. She lives in Western Pennsylvania with her family."